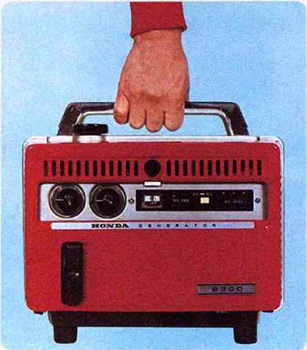 This small, easy to use power sources that are essential to our lives went through many stages to evolve into the portable generators that we know today. 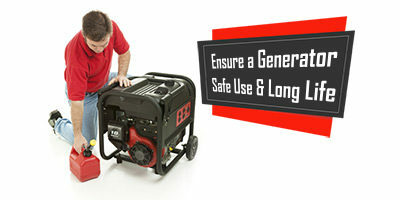 We introduce a brief history of generators and portable generators timeline. The story of generators that we know today, dates back to mid-1700s. 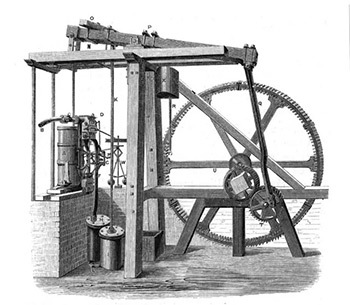 When a Scottish instrument maker, James Watt, became interested in the technology of steam engines. He noticed that the engine design of the Newcomen 1712 steam engine, wasted a huge amount of energy, due to its contemporary repeated cooling and reheating of cylinders during operation. James Watt became a mechanical engineer, a chemist, and the inventor of the Watt steam engine in 1781. He updated the contemporary design of generators to avoid the waste of energy, and effectively improving the power and efficiency of the generator. In fact, his work went far beyond pumping water. He also updated his engine to produce rotary motions. Furthermore, he contributed in the development of the unit Watt, named after him. In addition to the development of the concept of Horsepower (HP). After facing great financial difficulties while attempting to commercialize his inventions. James Watt eventually became highly successful and a great wealthy man. His work on improving the steam engine converted it into the mechanical workhorse of the Industrial Revolution. By early 1800s, an English scientist, Michael Faraday, established the basics of electromagnetic field physics. It shaped the technology of electric motors. He introduced the Faraday disk in 1831, which was the first electromagnetic generator. Michael Faraday was one of the most influential scientists in history. Due to his efforts, electricity became available for use in different technologies of today. As a chemist, he also discovered Benzene and the system of Oxidation and some popular terminologies such as Ion. Scientists would eventually pick up from where Faraday left off. 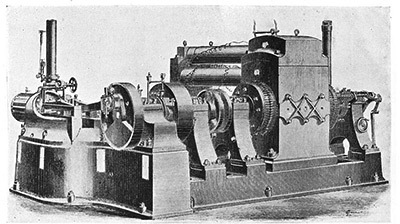 Just a year later, an instrument maker in France, Hippolyte Pixii, applied the principles of Faraday and introduced the first Magneto electric generator. By mid-1800s, small engines evolved to run on gasoline and kerosene in Western Europe. They were much smaller and more efficient. And they were made commercially available with the help of Zenobe Gramme. Who increased the power of the Dynamo generator to the point that it produced enough power for commercial applications. By 1870s, AC and DC generators were both used. Such as, in the use of AC generators to power outdoor arc lighting system known as the Jablochkoff Candle. However, it was not until the late 1870s when Thomas Edison successfully introduced a new electric lighting system, by using DC generators. Edison’s intention was to power both the lighting systems, as well as to power the electric motors. At the time, DC power was the only option as there was no effective AC motor available. With his new concept, Edison was successful in installing DC generators at the Pearl Street station in New York City, in 1882. Which is one of the earliest commercial power generating installations. However, there was still a lack of a suitable AC motor. In 1887, a Serbian immigrant to the United States, Nikola Tesla, could eventually improve the AC generator, as well as the practical AC motor. The Tesla motor was designed to peak the power supply of the motor. Tesla’s system made it easy for companies to create massive power plants, such as the Niagara Falls hydroelectric plant, built in the 1890s. By early 1900s, Siemens, Westinghouse, Kohler, General Electric, and other popular companies were designing and manufacturing generators. Generators and motors have many things in common due to the relation between electrical energy and mechanical energy. Which is done either way by an electric motor. Motors can be mechanically driven to generate electricity. Generating electricity happens through the generator by converting motive power into electrical power for external use. Sources of mechanical energy include water turbines, steam turbines, and gas turbines. A generator is the combination of an electrical generator and an engine to form a single unit of power supply. The generator unit includes a fuel supply, a speed governor, a voltage regulator, lubrication system, and cooling and exhaust systems. They come in a variety of styles and models. They may run on gas, natural gas, propane, they even come as a hybrid dual-fuel power. Their sizes range from very small that can supply few hundreds of watts and are portable, to large turbine plants. Many generators produce enough power to keep many vital life and business aspects running. Such as, powering for hospitals, power for homes, farms, and business areas, as well as provide power for rural places. In addition to providing a complete whole house power solution for different emergency situations. Learn more about the latest models of quiet generators and inverter generators. Generator Mag Copyright © 2019. All Rights Reserved. generatormag.com is a participant in the Amazon Services LLC Associates Program, an affiliate advertising program designed to provide a means for sites to earn advertising fees by advertising and linking to amazon.com.